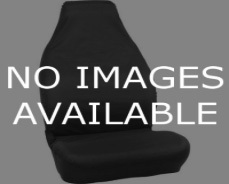 I have, over the years, had a couple of the tailored Westseats in my 200 Series and they are by far and away the best seat covers on the market in terms of snug fit, correct made-to-spec sizing, durability and 100% protection of the original seat trim. I have the front and back row tailored seat covers and love them!! Absolutely fantastic covers & service from the staff. I had a pair on my Hsv ute until sold in 2009 then bought another set for my new Holden van in 2009 and that set I only replaced this year and now I have just bought a set for my wife's Ford Focus. So easy to wash and look after and the covers can take a lot of punishment and last years. Had them in my old xtrail, fitted to perfection, best seat covers for beach, dogs, camping etc. Just purchased a new MUX and first thing I did was purchase these seat covers again! Great product and great service! The Wetseat covers are a great idea, and work very well. We have fitted them to our work vehicles to protect the seats and so far they are magic. I'm onto my 3rd set of Wetseat covers. Such a brilliant product! Comfortable, durable and look great also! My latest vehicle a 2013 SR5 Hilux has just had its new black covers put on and they didn't disappoint - recommend to anyone spending a little more for such a sensational product! Awesome product, awesome service! These boys are the bees knees! Awesome service at a great price was even able to speak to the salesman I bought them off at Brisbane 4x4 show over the phone in another state to help with some fitting tips when they arrived. Much better material then My old sheepskins as doesn't seem to hold the apprentices sweaty scent in the passenger seat. The Wetseat are the best covers I've had on my cars period. I love them. They are a great design & very practical here in Darwin where temperatures inside the car including the humidity are at extremes. Your seat covers work perfectly here keeping me comfortable, cool and sweat free! Great Aussie company keep up the exceptional product and quality. I have used The Wetseat since 2009 in all our family vehicles from a Fiesta & CX-5 to a Hilux & Ranger. They are easy to fit & look Awesome. The best thing is that when the mud, Sand, crayons & the kids drinks have covered the seats they can be removed & thrown in the washing machine and come out looking brand new! I highly recommend this product! Bought my first set of Wetseats in 2015 for my Ranger. They were easy to fit & fitted nice a snug to the seats. Even with a lifted vehicle sliding in & out of the seats they didn't wear on the edges. My mate just brought a different brand but same style to save money the quality and fitting difference is ridiculous. I wouldn't buy any other brand! Can't recommend The Wetseat highly enough. After I made a mistake with my order they were so helpful in facilitating the return of an incorrect size & the speedy delivery of the correct size cover. Nothing was too much trouble and service was very efficient & friendly. Such a pleasant experience to deal with a company who put their customers first! Bought a last minute Christmas present for my husband. The service was excellent from the first phone call. Delivered to me in under 3 days (I live in remote country) and he is very happy with the product ! Can’t recommend enough, and thanks for making a great Christmas surprise for him. By far the BEST seat covers we have ever bought. They fit like a second skin! The whole process from placing the order to receiving them has been easy and stress free. I highly recommend these guys! Can’t wait for my front set to arrived now! I can’t recommend Wetseat high enough. Fantastic to deal with both with the initial order and with after sales service when I mistakenly ordered the wrong models seat covers. The end product is fantastic and fits like a glove, exactly like a high end seat cover should. Thanks again guys we will definitely be purchasing again. Thank you so much guys, you sorted out a full set of Wetseat covers for my NP300, it was a big rush but you delivered & got them to me in time for me to fit before taking us all away for Easter, 2 adults, 3 kids & 3 dogs all in the cab! You can imagine how filthy it got camping in the dunes, got home & I've never had it so easy cleaning the seats! Copyright © Inland Australia Pty Limited. ABN 91 086 437 710. All Rights Reserved.